The Good Earth Guide, available here as a searchable online database, is about making connections. Connecting consumers to local farms and associated businesses so that their dollars support wholesome food and farm-related products produced using ecologically supportive practices. Connecting farmers with other farmers to network with and develop business relationships that support a successful farming community. And, connecting businesses and farmers who are working to provide healthy, local food and farm-related products. The database can be searched by product, county, farm/business name. Additional search options include listings based on organic certification, and purchasing opportunities: CSA (Community Supported Agriculture), wholesale, retail, and on-farm sales. OEFFA member producers and farm- and food-related businesses may choose to be included in the Good Earth Guide. * Many, but not all, do have a profile, and certainly not every ecologically-minded farm and farm- or food-related business is an OEFFA member. 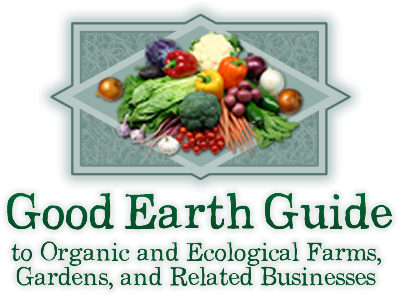 Therefore, the Good Earth Guide is not an all-encompassing guide, but rather a starting place for consumers to begin their search for fresh local foods, and for networking among farms and farm-and food-related businesses. It is more important than ever that, as buyers, we support our local food systems. OEFFA urges you to get to know the people who raise the food you and your family eat and find out how it was produced. Many of the people listed here welcome visitors through scheduled farm tours or by appointment, and virtually all of them will share their considerable knowledge of land stewardship with anyone who takes the time to ask. Please show your support of their efforts with your food dollars. *The information in this publication has been provided directly by individual producers and businesses. These listings are self-reported. Other than organic certification, OEFFA does not verify claims made.